Momma always said you couldn't have your cake and eat it to, and we suppose it's just about time we stop resisting and just believed. 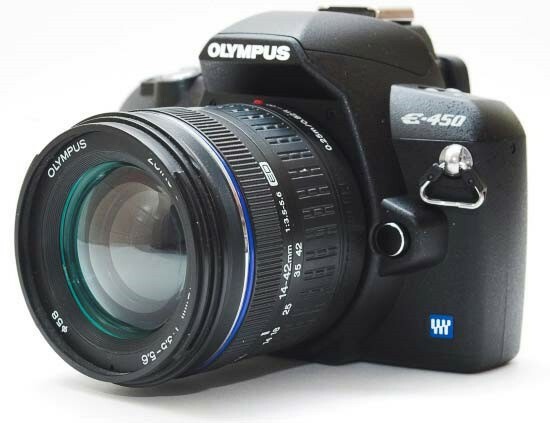 Olympus' decidedly compact E-450 was recently reviewed over at PhotographyBLOG, and while image quality was satisfactory for a camera of its stature, it was indubitably missing a few key ingredients. 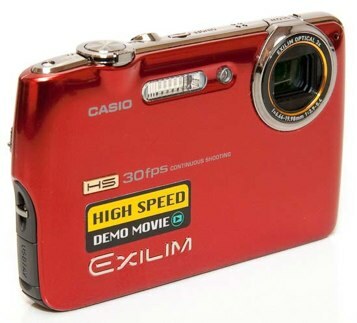 Most notably, the inexplicable lack of image stabilization and the inability to handle video were lamented, and the rudimentary 3-point AutoFocus was called 'frankly obsolete for a 2009 model.' Indeed, critics pointed out that the E-620 would likely be a far superior choice for those who didn't mind the additional weight and cost, but even if the E-450 was at the top of your budget, we didn't really get the impression that it was a surefire winner. Check the read link for the full spill. Samsung SMX-C14 and SMX-C10 Released in Korea: "
You're already well aware of what GigaPan's wild camera robot is capable of when its in masterly hands, but have you ever wondered if such a device is practical for folks who don't have excellent seats for events such as Presidential inaugurations or the Arirang Mass Games? We've been toying around with an Epic 100 for the past week and change, and now that we've had a moment to upload a few of our own panoramas, we figured we'd toss our two pennies into the ring. Eager to know if this gigapixel image creator is really worth its avoirdupois in cold, hard cash? Head on past the break to find out. It’s been over a year since Pentax introduced the K20D, their current top-of-the-line digital SLR body. Even though they did make a lot of announcements in 2008, my impression has been that things have been a little on the quiet side for Pentax in the past year. They need something big to bring the buzz back. The new 14.6-megapixel Pentax K7 DSLR should do that. Pentax system owners should be very happy and other digital SLR owners might be a little jealous. It may have taken a while for Pentax to produce a new camera. But in July, $1299 will buy you a whole lot of Pentax-badged digital SLR. And yeah - it’s got video. In 2006, Pentax set themselves apart from other digital SLR makers with the introduction of the K10D, a compact, rugged, weatherproof camera featuring their in-camera Shake Reduction system. It got great reviews and offered a real alternative for photographers who wanted a high-performance digital SLR that could take some abuse and didn’t cost a fortune. The K20D followed about a year later. The new Pentax K7 inherits the design philosophy of the K10D and K20D and packs a whole lot of new features and improved performance into the smallest body in its class. It’s built around a brand new 14.6-megapixel, APS-sized CMOS sensor with Live View and 720p video capture at 30 frames-per-second. Pentax’s new PRIME II image processing engine allows a 5.2 frames-per-second capture rate and as well as improved color and smoother tonal gradations. Other new features include a 77-segment exposure metering system, an electronic level, auto focus assist lamp, in-camera lens distortion and chromatic aberration correction, mirror lock-up, an in-camera HDR mode that brackets and combines three images, image composition adjustment using the Shake Reduction feature, HDMI output, and the ability to record copyright information in the camera. A new 3-inch 920k-dot LCD will be better for Live View and video shooting. The K7 has an 11-point auto focus system with improved algorithms for faster focusing and a bright, 100% viewfinder will help photographers track their subjects and compose more accurately. The built-in Shake Reduction system now detects rotational as well as X and Y-axis movement to compensate for a claimed 2.5-4 stops slower shutter speed. 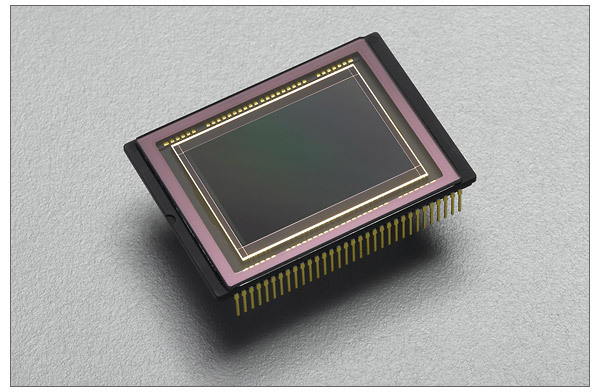 The camera also has a Dynamic Range setting that adjusts shadows and highlights and 16 in-camera digital filters. A new, improved battery addresses the need for more power when using Live View and shooting video. The Pentax K7 is aimed at the Canon EOS 50D, Nikon D90, Olympus E30, and Sony Alpha A700. Competitive resolution, HD video, a 3-inch LCD, Shake Reduction and weatherproofing in the smallest body of the bunch should get people’s attention. Add the electronic level, HDR mode, 100% viewfinder and the rest of the new features and it starts to look really serious. The K10D and K20D were especially appealing to outdoor photographers who needed a compact, rugged camera they could use in any environment. The new K7 is a more than worthy follow-up and I’m pleased to see Pentax continuing what they started with the K10D. The Pentax K7 will be available in July for $1299.95 (body only). 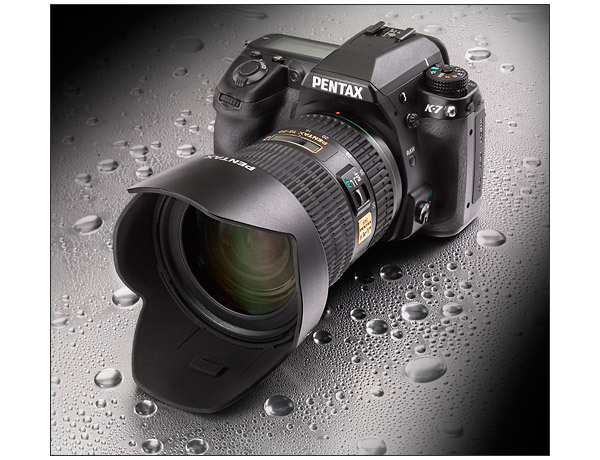 Pentax is also introducing two new weather-resistant DA lenses and a battery grip to go with the new camera. The Pentax smc DA 18-55mm F3.5-5.6 AL WR and the smc DA 50-200mm F4-5.6 ED WR will also be available in July for $199.95 and $249.95, respectively. The D-BG4 battery grip will be available at the same time for $229.95. 'World's Lightest*,' says so right in the Panasonic press release. What's that? It's a qualified statement? Oh we see it now, it's the world's lightest Full-HD AVCHD camcorder. Well, that'll make Sanyo's lawyers happy. 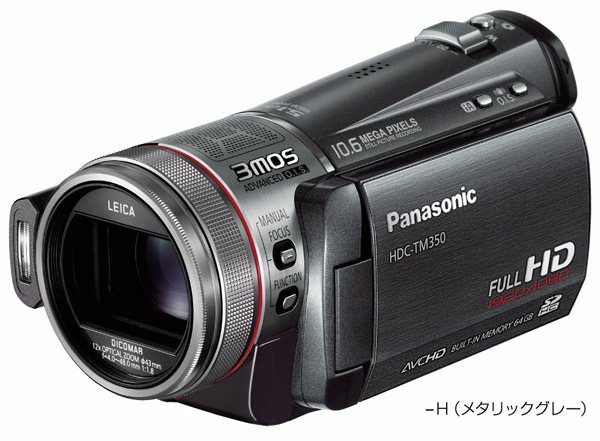 Anyway, the new Pannys bring SD/SDHC card support, touch-screen control, intelligent auto scene selection and AF tracking along with Panasonic's optical image stabilization to keep the shake under control while zooming in at a 16x optical max. The TM10 differs from the SD10 in that it records to 40GB of internal storage before automatically switching to SDHC/SD cards of up to 32GB. The cameras also feature a 3 second Pre-Rec function that continuously pre-records content into an internal buffer which is then added to the beginning of the clip as soon as you hit record -- never miss a goal again. Pricing in the UK is set at £529.99 for the HDC-TM10 and £499.99 for the HDC-SD10 with June availability. Another day, another couple of Panasonic HD camcorders. This pair may not be the make the same 'world's lightest' (with an asterisk) claims as the entrants we saw yesterday, but each sports a dubious record of their own. First is the HDC-TM30 (pictured after the break), another 'world's lightest' cam, this one with the caveat that, at 227 grams, it's the lightest with 32GB of internal storage. It sports a 16x (44 - 706mm equivalent) optically stabilized zoom ahead of a single CMOS sensor that can record 1080p24 video. 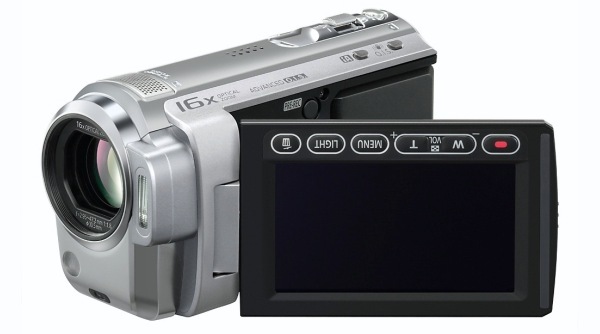 The other player, the HDC-TM350 (above), offers a bit more on the quality front and pledges the 'world's largest capacity' full HD camcorder, offering 64GB of storage. That equates to a nigh-ridiculous 16 hours of 1080p24 video shot through a stabilized 12x (45 - 540mm equivalent) lens. It even records 5.1 audio, but with the mics all placed within what looks to be a one square inch patch don't expect great channel separation here. Both are set for release in late-June for undisclosed (but hopefully non-record-breaking) prices. What's that, another compact digital camera unboxing? Yes, dear readers, we've got a mega-megapixel story cooking for you, and another ingredient has arrived. 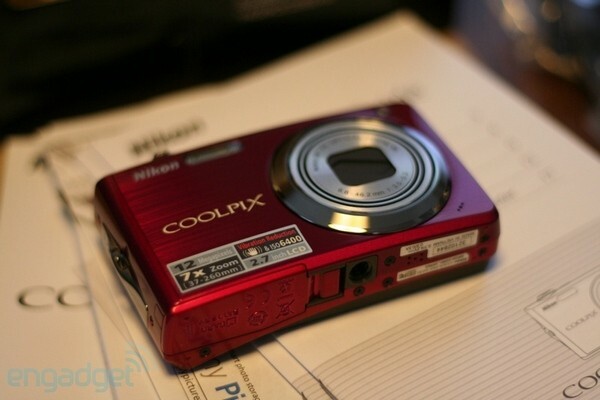 This time it's Nikon's Coolpix S630, a 12 megapixel, 7x optical zoom compact that features optical stabilization and a particularly vibrant hue. So far we're impressed by the camera's shape, lightness, and build quality, but this one has plenty more testing ahead of it before we make any solid conclusions. Until then, enjoy a few shots of its unveiling. Casio's really blown out the feature list on the EX-FS10, and now PhotographyBLOG has taken the compact fashioncam through its paces. Sadly, like many modern compacts, straight up image quality is a bit scarce here, with obvious noise at ISO 200 and up, no optical image stabilization, and not even the silly 12 megapixel extravagance of its counterparts to blame it on -- the EX-FS10 shoots 9 megapixel stills. The HD and slow-motion video recording is also severely hampered by a lack of zoom during shooting, bad sound, and the oversized AVI format. Still, the camera is incredibly well built, very slim, and it can pull off some really wild feats -- 720p might be growing increasingly common, but 1000 fps slow motion, burst mode for stills and pre-record shutter lag adjustment make the FS10 quite unique in its category. It's obviously a tradeoff, but at least there's some good news: while the camera was supposedly slated to retail at around $450, it's hovering pretty close to $300 at the moment. 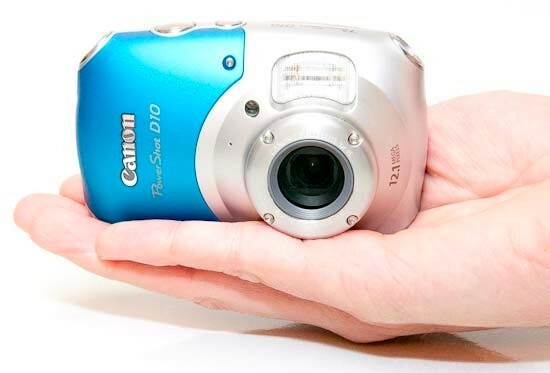 The gang at Photography Blog have got their hands all over the PowerShot D10, and it looks like Canon didn't fare too badly with its first 'adventure camera.' Even if the reviewer didn't really drop it from a helicopter or shoot it with a bazooka (as we had originally hoped) the unit was found to be as intuitive, sensible, and dependable as the company's other point-and-shooters. Of course, a device with this robust of a design is going to suffer in a few areas, and the 3x, 35-135mm zoom lens and 2.5-inch display can easily be considered 'rather hum-drum' for a camera in this day and age. That said, the lens is 'quite fast,' great for underwater use, and the display is bright enough for all of your spelunking needs. The verdict? If you're going to be dropping from airplanes or scavenging sunken treasure (actually, make that 'reading on the beach' and 'taking the kids snorkeling') this summer, you could do worse than shell out $329.99 for this bad boy. Hit the read link for the usual exhaustive review. The blue and red Panasonic Lumix DMC-TZ7 is now available in the Japanese market. In case you didn’t know, this camera is the world’s first digital camera that records motion image in AVCHD Lite. The AVCHD Lite realizes long time recording of high-definition motion image. The 12.7MP camera also features a high-quality Leica DC Vario Elmar 25mm ultra-wide-angle lens with a 12x optical zoom, ISO 6400, and the Venus Engine IV image processor. Sony's latest mainstream DSLRs cameras got the seal of officialness this past Saturday, and now the company's added some icing to the cake by releasing of plethora of pictures for its α230, α330, and α380. Direct your eyes lovingly at the articulating screens and SD/SDHC card slots in the gallery below. Pre-orders for the trio are supposed to start today at Sony's official retail site, but as of this writing, they're not yet there. Sony Korea is out with their new ultra-light premium full HD handycam in the form of the HDR-TG5V for the Korean market. Weighing only 220g, this ultra-light camcorder is capable of capturing 1920 x 1080 high-definition video as well as 4-megapixel digital still images and features a 2.7-inch wide LCD touch panel, a professional-quality Carl Zeiss Vaio-Tessar lens, a 10X optical zoom, a BIONZ Image Processor, a 16GB of flash memory, a Memory Stick PRO Duo card slot, a built-in GPS and NAVTEQ digital maps and a built-in flash. The HDR-TG5V is priced between 1,598,000 KRW ($1,265) and 1,668,000 KRW ($1,324). Sony has introduced two new Cyber-shot cameras for the European market. Dubbed as the Cyber-shot W180 and W190, both compact digital cameras boast Sony’s smile shutter technology, 3x zoom stabilized with SteadyShot, 2.7-inch LCD, ISO 3200 sensitivity, and 7 automatic scene selection modes. The W180 comes with a 10.1MP sensor, meanwhile the W190 has a 12.1MP sensor. No word on pricing so far. Is it a phone? Is it a camera? Does it really matter anymore? 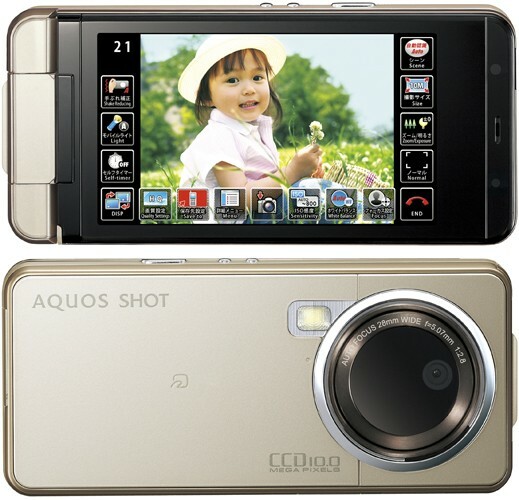 If neither the mirumo 934SH nor the Solar Hybrid 936SH are quite to your liking, feast your eyes on this other wonder from Sharp that's hitting SoftBank Mobile in Japan this summer, the AQUOS SHOT 933SH. The headlining feature on this sucker would be the massive optics combined with a 10 megapixel low-noise CCD sensor, which is made infinitely easier to use as an actual camera thanks to a rotating touchscreen display -- just flip it around, snap it facing outwards, and voilà, your old point-and-shoot is on notice. Otherwise, you've got a 3.3-inch WVGA display (perfect for viewing one-seg television) and global roaming capability, so don't be surprised if we try to smuggle one of these stateside when it launches in late May, alright? 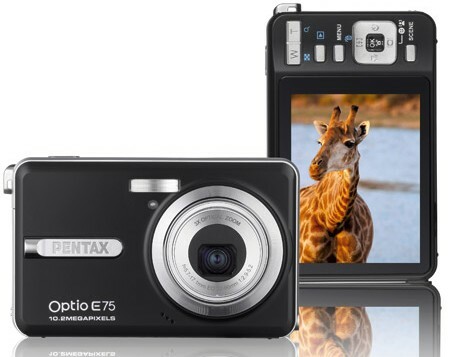 In the cutthroat world of compact cameras it takes a certain something special to stand out -- and we're not entirely sure that Pentax's new Optio E75 has it. The 10.2 megapixel shooter offers a CCD sensor with an ISO range of 80 - 1600 tucked behind a perfectly average 3X, 32 - 96mm equivalent, non-stabilized zoom. It has room for a 2.7-inch screen, shoots video in good 'ol VGA, has all the de rigueur face and smile detection modes, and will cost €120 (about $160) when it drops in Europe this July. No word on a domestic release, but perhaps we'll find out more next week. Nine new ones not enough for you? 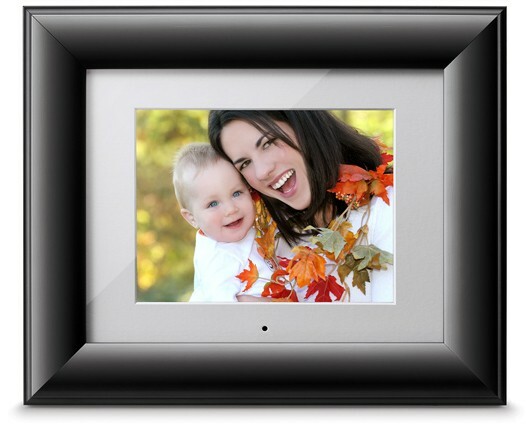 Not if you're ViewSonic, who just came clean with three more in its rapidly expanding digital photo frame lineup. The 10.4-inch VFD1020, 8-inch VFD820 and 7-inch VFD720 make up the new TrueView line, which offers up a 4:3 aspect ratio and 2GB of internal memory. As for resolutions, the smaller two do their thing at 800 x 600, while the June-bound VFD1020 will kick things up to 1,024 x 768. Naturally, there's a multicard reader for loading multimedia, and the USB 2.0 port is bound to make friends with your impenetrable Iron Drive. The trio also ships with a remote control from mixing things up from afar, with prices set for $129.99, $89.99 and $79.99 in order of mention. Last year Apple offered a free iPod touch or iPod nano with a Mac purchase in their Back to school deals. The Apple Back To School Deals are for student, teacher, or staff member only and usually are available from June to September. MacRumors reports that Apple might announce the Back to School deals already tomorrow. Apple is rumored to be offering the 8GB iPhone 3G along with the 8GB iPod touch and 8GB iPod nano for free with a qualifying Apple Mac purchase. Update: Apple Back To School Deals official. Of course you still would have to sign a 2 year contract with AT&T, but you would save the $200. Apple just recently started offering the iPhone 3G in their online store. Of course such a rebate promotion would help clear the inventory of the 8GB iPhone 3G and make room for the new iPhone 2009. It's funny how a new games system can actually alter our speech patterns. As I hunt through the App Store now looking for free games, I come to realise how many new words I've been taught since it launched. 'App' seems to have been accepted as a preferable alternative to 'software', while fiddling with capitalisation is now perfectly acceptable as long as the capital letter is preceded with a lower case 'i'. And even though my spell checker still doesn't like it, 'Lite' is undeniably the buzz word of the iGeneration (you see! Even I'm doing iT now). Even though it's not actually a word, its meaning is understood by every iPhone and iPod touch user across the world. If something's 'Lite', it's free, but has reduced functionality and, for the most part, has a full version counterpart that you can pay for. Of course, we could just say 'demo', but that's not yet been approved or copyrighted by Apple, so for the time being we're going to have to stick with Lite. 'Free' is a word that's not going to be so easily put aside, of course. 'Free iPhone games' is the phrase that brings a lot of budding iPhoners directly to Pocket Gamer, so I've spent the afternoon sifting through an iSea of Lite games to dig out some freebie gems just for you. I mean, iYou. Whatever. No, Spaceballs sadly isn't linked to Mel Brooks's classic spoof sci-fi movie, but it's still well worth a look. It's a free version of the match-three chain style of game, in which you're required to shoot coloured balls into a long and winding line of other balls. Once you punch together a row of three or more same coloured spheres, they evaporate, and the chain is shortened. It's relatively new, but it's going down a storm over on the App Store thanks to several different game modes and an online high score leaderboard, so check it out if you like a good Zuma-clone. Yesterday, my colleague Brandon Matthews penned an article titled “Free Is Never A Good Business Model”. In the article, he writes: “The application itself should be free, yet require a subscription to be useful.” As the title of this piece states, free should only be free once it is paid for. Confused? Sorry, I thought it was catchy. The key to the free app lies in a tidbit of information that is mentioned at the Apple (AAPL) iPhone 3.0 announcement where they mention “A free app stays free”. If the application is given away for free, Sirius XM (SIRI) loses a variety of potential income sources. Subscription Revenue - Obviously, one of the key benefits of the iPhone app is going to be to drive people to become subscribers. When you buy from the iTunes store, it charges the purchase to your credit card already on file. The beauty of the iTunes store however, is that it is a proven fact that many press the “buy” button without really thinking about the cost involved because they are not having to put in credit card information every single time they make a purchase. The easier it is, the more likely they will be to purchase it. World Wide distribution - Currently, Sirius XM requires you to be a resident of the United States in order to sign up even for an internet feed. I am sure that one of the biggest reasons they do this is because in order to “sell” something, the government is going to want to tax it. Sirius XM would have to set up tax collection systems for every single country that somebody decides to subscribe from. What a pain! Enter iTunes. Apple has already set up these agreements with over 50 countries where their iPhones are sold. When an app sells, Apple takes a 30% revenue share, and the company gets the other 70%. From Apple’s 30%, they pay all of the credit card processing fees, all of the taxes, and all of the server fees associated with the download of the app. Barring any international issues with select channels, etc, this would be a huge plus for SiriusXM. All of the benefits with none of the hassle. Free iPhone Apps like Evernote, Shazam, and Mint get all the glory, but there are plenty of other productivity-boosting, life-improving apps out there. Here's a roundup of five I'm loving right now--and because I'm a cheapskate (as well as The Cheapskate), they're all freebies. 6500+ Cool Facts Whether you're a trivia buff or just looking to learn more about the world, this nifty little app delivers. Read a fact, then tap the screen to move on to the next one. That's the entire interface--you can't save favorites or return to previous facts--but so what? Knowledge is power, and there's a ton of knowledge to be gleaned here. CardStar Best. App. Ever. CardStar replaces all the discount, reward, and membership cards in your wallet. To digitize a card, just type in a merchant name and your barcode number. When you get to the checkout, pull up the onscreen barcode and hand over your phone for scanning. My wallet just got four cards thinner! Howcast Need to know how to fix a leaky faucet...while you're standing at the faucet? Howcast delivers how-to videos wherever you need them. You can view featured, recently added, and random videos (just give a shake), or search for what you need. Second-best. App. Ever. iWrecked--Auto Accident Assistant Fender-bender? iWrecked helps you record all the necessary details, complete with photos, and turns them into an insurance company-ready PDF. It can also find nearby taxi and towing services and dial 911. This is one app you hope never to need, but find indispensable when you do. White Noise Lite Trouble falling asleep at night? A little white noise might do the trick. Just choose a sound--a thunderstorm, waves crashing on a beach, chirping crickets, etc.--and set your iPhone (or second-gen Touch) on your nightstand. The app features a volume fader and timer so your handset can "drift off" after you do. Okay, your turn: What apps make your life easier? I'd prefer to hear about freebies, but don't be shy about nominating apps that cost a few bucks. I’m clumping these two together because although they are very different in many aspects, their basic purpose is the same: Help you find what you need nearby. Urban Spoon is obviously focused entirely on food and has everything from lowest rung fast food through five star restaurants. It can randomly offer you selections or allow you to scroll through options narrowed down by location, type, price, or whatever else. AroundMe, however, shows you a nice neat list of whatever is near you. Restaurants, banks, hospitals, bars, gas stations, the list goes on. Using the GPS, it will essentially offer you a radius of things nearby in whatever category you choose and has a very extensive list. If you’re ever in an unfamiliar area or just looking for something new, both of these are mandatory. Sure, the iPhone comes with a basic weather app. The Weather Channel puts it to shame. In-depth current, hourly, 36 hour, and 10 day forecasts as well as radar, severe weather alerts, and even local weather video clips can be a true life-saver. You’re listening to the radio and a song comes on that you like. You’d download it or go buy the CD, but you’ve got no idea who sings it, what album it’s on, or even what it’s called. In comes Shazam. You’ve seen the commercials for it and it is exactly as awesome to use as it looks. Just open up the app, tap on “Tag Now” and you’ll know the artist, title, album, year, and (if available) the music video on YouTube. It even keeps track of what you’ve looked up in the past so you can remember it later. Excluding the iPod app itself, this is my favorite music-themed app available. Okay, if you have trouble sleeping or if you have to sleep while travelling or if you have a little baby, then this free iPhone app is for you. The lite version is free and it comes with 8 different sounds: beach, crickets, rain, chimes, thunder, fan, clock, and white noise. The full version is only 99 cents and has 40 different sounds including cat purring, vacuum, crowd, Tibetan singing bowl, water drip, and much more. The interface is easy to use and included with the volume are adjustments for balance and pitch. You can set the timer with a fader option so that the last minute of time is a gradual fading of sound so that there isn’t a sudden silence. This app is very well thought out and nice to have.